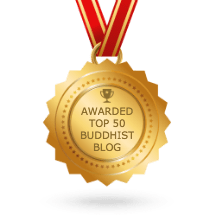 One of the perks of blogging about Buddhist fiction is that authors and readers of fiction that intersects with Buddhism regularly send emails to let us know of new or newly discovered works. Unfortunately, there is not enough time to review everything that comes our way, or even read every story. But we can certainly list it here for you to discover, read, and enjoy. With that said, here is a brief catch-up listing of books (and music! ), alphabetically by author, that have been brought to our attention over the past few months. Thank-you to everyone who alerts us to the ever-growing assortment of Buddhist fiction. darshan Pulse is a group of musicians who create and produce “Revolutionary Buddhist Rock from the Heart of the Rocky Mountains.” Based out of Missoula, Montana, the group recently produced an instrumental concept album to express “the essence of samsara, the Buddhist doctrine of cyclical existence” entitled Olive Moksha. For this their second album, darshan Pulse “focused on how duality can be transcended. . . The narrative of this second project focuses on the story of three tulkus and their willful reincarnation into the belly of the beast – the same matrix described by the first album – to bring about a new era of peace [sic] the world” (from https://darshanpulse.com/theory). Gaber, Mark. Rijicho. Wheatmark Inc, 2011. Gaber, Mark. Sho Hondo. Wheatmark Inc, 2011. Merullo, Roland. The Delight of Being Ordinary: a Road Trip with the Pope and the Dalai Lama. Vintage Contemporaries, 2018. From Amazon: “Roland Merullo’s playful, eloquent, and life-affirming novel finds the world’s two holiest men teaming up for an unsanctioned road trip through the Italian countryside–where they rediscover the everyday joys and challenges of ordinary life. During the Dalai Lama’s highly publicized official visit to the Vatican, the Pope suggests an adventure so unexpected and appealing that neither man can resist: they will shed their robes for several days and live as ordinary men. Before dawn, the two beloved religious leaders make a daring escape from Vatican City, slip into a waiting car, and are soon traveling the Italian roads in disguise. Along for the ride is the Pope’s neurotic cousin and personal assistant, Paolo, who–to his terror– has been put in charge of arranging the details of their disappearance. Rounding out the group is Paolo’s estranged wife, Rosa, an eccentric entrepreneur with a lust for life, who orchestrates the sublime disguises of each man. Rosa is a woman who cannot resist the call to adventure–or the fun. Okita, Dwight. The Hope Store. CreateSpace Independent Publishing Platform, 2017. Padwa, David. Incident at Lukla: A Novel of the Himalayas. Hapax Press, 2013. This entry was posted in Announcing New Buddhist Fiction, Buddhist Fiction, More Buddhist Fiction and tagged Buddhism, Buddhist Fiction, Buddhist music, Fiction, Roland Merullo. Bookmark the permalink.